Violin, viola, cello, and piano faculty teachers at Prince William String Academy. Mrs. Colburn received her Bachelor’s Degree in Cello Performance from the University of Miami in 1997, and her Master’s Degree in Cello Performance from George Mason University in 2009. She has been a cellist with the Prince William Symphony, American Festival Pops Orchestra, Manassas Chorale, and Ash Lawn Highland Opera and currently serves as Associate Principal cello of the National String Symphonia. Mrs. Colburn was a founding member of the Manassas String Quartet in 2013. She was an orchestra director in Prince William County for 9 years and taught both middle and high school orchestras. She resides in Manassas, Virginia with her husband and twin girls. Mrs. Colburn’s past teachers included Loran Stephenson (National Symphony Orchestra), Ross Harbaugh (Bergonzi Quartet), and Neil Cary (Principal, Richmond Symphony). Anna Henke graduated from Lawrence Conservatory in Wisconsin in 2010 with a Bachelor of Music degrees in cello performance and instrumental & general music education. Anna has been teaching orchestra in public schools since 2010, and currently teaches at Parkside Middle School in Prince William County. Anna has developed her teaching skills under the direction of Carrie Lane Gruselle and Janet Anthony at Lawrence University, and completed the first stage of training in the Suzuki method with Gilda Barston in Chicago. In addition to teaching privately, Anna performs as principal cellist in the Manassas Symphony and maintains a schedule of freelance gigs throughout the Northern Virginia area. Anna also enjoys teaching in Haiti during the summers, where she conducts intermediate orchestras and performs with Haiti’s premier ensemble. 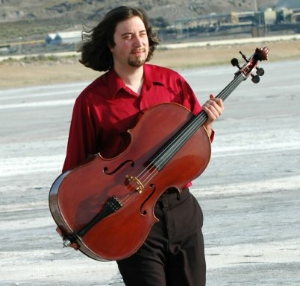 Samuel Runolfson graduated from the University of Utah with a Masters in Cello Performance and Weber State University with a Bachelors in Music Education. Samuel currently teaches elementary strings in the Prince William County School District in Virginia. He has performed with numerous ensembles including the New American Philharmonic, Chamber Orchestra Ogden, and Old Bridge Chamber Orchestra. He is currently Principal Cello in the Washington Metropolitan Philharmonic. Samuel enjoys performing in chamber ensembles such as string quartets, cello ensembles, piano trios, jazz and Celtic ensembles. Samuel is an active recording artist having recorded for commercials, movies, television, and local artists ranging in style from classical to pop and jazz. Samuel has also worked with several summer music camps including Blue Sky Music Camps and Summer Strings. 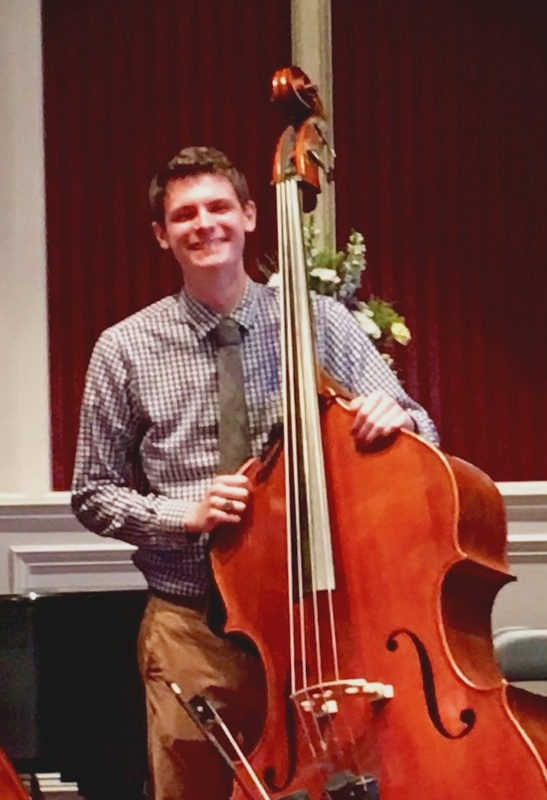 Stephen Kelsey received his Bachelor of Music Education degree from West Virginia University, where he received a full scholarship from the School of Music and studied double bass with Dr. Andrew Kohn. Mr. Kelsey currently teaches 4th and 5th grade strings at River Oaks, Kerrydale, and Neabsco Elementary School in Prince William County and will be the orchestra director at Osbourn Park High School starting in the fall of 2019. In addition, Mr. Kelsey maintains a private bass studio and actively performs throughout the Northern Virginia area. Christopher Dixon graduated with his Bachelors of Music in Music Education degree from Shenandoah Conservatory of Music in 2007, having studied violin and viola with Olivia Hajioff and Marc Ramirez. Mr. Dixon has played violin professionally with several ensembles in the Washington, DC metropolitan area, including the Avanti Orchestra of the Friday Morning Music Club, the American Festival Pops Orchestra, and the St. Charles String Quartet. Mr. Dixon is currently the Principal 2nd Violinist and Personnel Coordinator of the Old Bridge Chamber Orchestra in Woodbridge, VA. In addition to his busy performance schedule, Mr. Dixon also teaches private violin and viola lessons. He is the orchestra director at Mary F. Williams, River Oaks, and Kerrydale Elementary Schools in Prince William County, Virginia. Veronica Sharpe graduated from James Madison University with a degree in music education in 2014. As a classical violinist, she has played numerous solo, chamber, and orchestral performances, and has performed with artists such as Kansas, Denyce Graves, and Patti LuPone. Ms. Sharpe has developed a broad performance portfolio, performing classical violin as well as fiddle. She has studied fiddle techniques with Julie Lyonn Lieberman and Darol Anger. Currently, Ms. Sharpe is a first violinist in the Manassas Symphony Orchestra and is a member of the Manassas String Quartet, as well as an orchestra teacher in Prince William County. Ms. Sharpes' past teachers were Wanchi Huang, (professor of violin-JMU) and Vernon Summers (National Symphony Orchestra). Ms. Bockstege received her Bachelor’s Degree in Viola Performance from Hope College in 2009. She received both her Master’s Degree in Viola Performance and Post Masters Certificate in Viola Performance from DePaul University respectively in 2011 and 2013. She has played with the Muskegon Symphony Orchestra, Holland Symphony Orchestra and Chicago Fringe Opera, as well as the contemporary ensemble “20+.” Since moving to the Washington D.C. area last year she has played with the Ars Nova Chamber Orchestra (a self-conducted ensemble), the Pro Arte Chamber Orchestra of Greater Washington and the Loudoun Symphony Orchestra. Ms. Bockstege has taught private viola lessons, as well as elementary and high school string orchestras in Fairfax County Public Schools. Ms. Bockstege’s past teachers include Susan Bearden (Principal, Brevard Symphony Orchestra), Carey Moorman (Concertmaster, Space Coast Symphony), Barbara Corbato (Principal, Grand Rapids Symphony), Richard Piippo (Principal, Detroit Symphony), Michael Lewanski (Depaul University) and Rami Solomonov (principal, Lyric Opera of Chicago). Tami Nelson received a B.M. and an M.M. from George Mason University studying with Steven Day, violist with the “President’s Own" Chamber Orchestra, and with Edwin Johannet, violinist with the National Symphony Orchestra. Tami has performed in orchestras in Minnesota, Illinois, Alabama, Washington and Virginia, and is currently a violist with the "American Festival Pops Orchestra." She is a strings teacher in Prince William County Schools and has had a private studio for eighteen years. Tami performs and enjoys learning every genre of music, from traditional classical to Scottish, Irish, Scandinavian fiddle and American folk. Pianist Ryan Tusing is an active performer and teacher. Having completed his undergraduate degree in piano performance at Bob Jones University in 2016, Mr. Tusing has since done graduate work at James Madison University where he studied with Paulo Steinberg and Lori Piitz. Ryan currently studies the Taubman approach to piano technique with Robert Durso, Senior Director of the Golandsky Institute. Mr. Tusing is in the preliminary stages of pursuing certification in teaching this approach through the Golandsky Institute. Tusing is interested in both solo and collaborative playing, performing regularly in both capacities. He works with both singers and instrumentalists; having accompanied recitals, juries, NATS auditions, and for the BJU Commencement Contest. He plans to continue his education culminating in a Doctor of Musical Arts degree. In addition to his many musical pursuits, Ryan enjoys a range of other interests including art, cooking, gardening, reading, antiquing, and traveling.